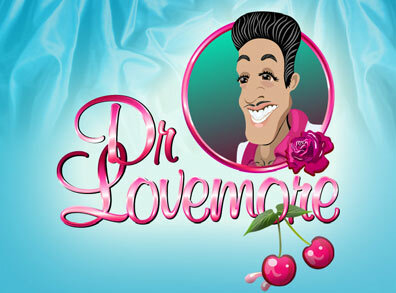 Dr Lovemore Slots is a fun, addictive, bonus, video slots game to play, from the famous creators of online slots games – PlayTech. It has five reels and twenty paylines, which, mixed with the 39 winning combinations, gives you an amazing chance of winning big time. The generous jackpot is of 10 000 coins and the second jackpot is of 1000 coins, which happens frequently in bonus, video slots games, made by PlayTech. The coin sizes are varying from $0.01 to $2.00, and with the possibility to bet a maximum of 200 coins you really have the choice of over a thousand combinations to bet. The theme of the game is love, and as such the game is very nicely decorated with flowers and pink buttons. The art is very good and professionally made. The symbols in the game are cherries, a banana, flowers, a kiwi and a perfume. There is also a wild symbol in the game – wild, and a scatter symbol – scatter. A great addition to the game is not only the autoplay mode, but the bonus game, which gives you the opportunity to gain over 20 free spins, adding even bigger chances for you to win big.